To many of us, pets are a member of the family. As a result, we tend lovingly to their health, providing them with plenty of exercise, attention, and food. In an ideal world, everyone would treat their animals like this. Unfortunately, not everyone tends to their pets with the same care and devotion. Reckless pet owners let animals run around without a leash, don’t keep up with vaccination or routine health care services, and may even abuse their pets, leading them to become aggressive. What happens when you or someone you love is bitten by one of these animals? Dog bites can result in severe injuries that require medical care and rehabilitation. In addition, dog bite victims may suffer from emotional side effects such as post-traumatic stress. 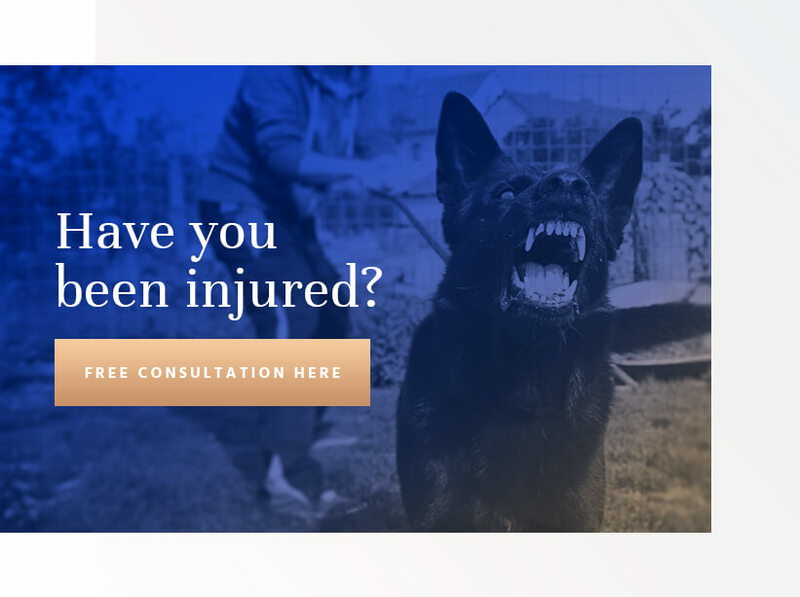 If you’ve been injured by a dog or other animal, call the Seattle dog bite attorneys at Colburn Law. We offer a free and confidential review of your legal options and offer our services on a contingency-fee basis. Contact us to get started. How Do I File a Dog Bite Lawsuit in Seattle? Each state has unique deadlines for filing personal injury suits, which is referred to as the statute of limitations. In most cases, you must file with a Seattle personal injury lawyer within three years of the dog bite. If you miss this deadline, your case is likely to be thrown out without so much as a review. For this reason, it’s essential to retain the services of a Seattle personal injury attorney as soon as possible. Greg Colburn has fought hard to help Seattle residents receive compensation for their injuries since they opened their doors. Our main goals are getting you back on the road to recovery following a dog bite. First, they might suggest you were in a place you had no legal right to be. For example, if you were on someone else’s land without permission and were bitten by his or her dog, you wouldn’t have legal recourse under Washington law. Another common defense is that you did something to provoke the attack. For example, even if you were in your own yard and your neighbor’s dog jumped the fence and bit you, the owner wouldn’t be liable for damages if they could prove you did something to provoke the attack. If you discover that the dog that bit you had a previously known history of viciousness, the owner will be liable for injuries. Washington law holds the owner of a vicious dog or wild animal liable if he/she knew or reasonably should have known that the animal had dangerous propensities. This is sometimes called the one-bite rule, although the dog need not necessarily have bitten someone in the past to qualify for a history of viciousness. Any action or behavior, such as growling or aggressive barking, may give the courts reason to rule that the owner should have known about its potential for violence. If another reasonable and prudent person would have known about the dog’s viciousness, the courts will rule that the pet owner was negligent in not preventing an attack. It is illegal for a pet owner or harborer to let a dog with vicious tendencies run at large in Seattle. In most states, Washington included, dog bites fall under an area of personal injury law known as “strict liability.” Strict liability means that people can be held accountable for the actions of their pets, even if they didn’t intend for anything to happen. In Washington, victims of animal attacks or dog bites are free to pursue compensation for their injuries, even if the pet’s owner didn’t know the animal was dangerous. You were injured by a dog or other animal, either directly or indirectly. The law also provides recourse for victims who were injured by being knocked over or being so frightened they fell over, leading to an injury. At the same time, you can’t file a personal injury claim for being “almost bitten” by an animal. The animal was involved in the attack, either directly or indirectly. If the attack happened in a public place, you’ll generally rely on eyewitness testimony. You had a legal right to be in the place where the bite occurred. For example, you can’t file a dog bite claim if you were trespassing. You didn’t do anything to provoke the attack. In Washington, you may file a lawsuit against the animal’s owner only. You couldn’t sue a property owner if you were bitten by a stray that wandered onto his or her land. The more you learn about dog bites in Seattle and around the country, the better prepared you will be if this frightening incident ever happens to you or a loved one. Learn the facts, laws, and ordinances surrounding dog ownership in Seattle and who may be liable for dog bites in the event of an attack. Dangerous animals. The director of finance and administrative services has the right to conduct an investigation into reports of a potentially dangerous animal. After the investigation, the director may declare the dog dangerous and notify the owner in writing how to proceed. The owner then has the right to write back and say why the dog isn’t dangerous or to petition for an animal shelter or relocation instead of humane disposal. Taking a dog off leash requires the owner to have voice control over the dog at all times. Dogs must have valid license tags attached to collars in off-leash areas. Dangerous animals may not use the city’s off-leash areas. Rabies vaccinations. Seattle makes rabies vaccinations mandatory for all dogs, cats, and ferrets. Washington state rule WAC 246-100-197 states that owners of these pets must obtain rabies vaccinations and revaccinations according to veterinary instruction. An owner who ignores this rule will be liable for incidents involving dog bites and rabies. All pet owners must obey state and citywide laws regarding dog ownership. Failure to obey the law, resulting in a dog bite or animal attack, will result in strict liability on the part of the owner or possessor of the animal. After a harmful dog bite attack, your first goal should be to receive medical care for your wounds. Then, determine liability for your injuries. In Seattle, the owner of the property where the attack occurred is not automatically the party legally responsible for the dog. Instead of blaming the landlord, the law will look at the actual owner, possessor, keeper, or harborer of the dog in question. According to state law, anyone who “harbors, keeps, or is negligent with a dog” may be liable for related injuries. The law protects landlords from liability unless the landlord is also the keeper/harborer of the dog. Anyone who unreasonably failed to control the pet on the day of the attack, resulting in injury, may be liable. The courts will decide who was in charge of the dog on the day of the attack. Every year, about 4.5 million dog bites occur in the United States. One in five of these bites becomes infected. Children between the ages 5 and 9 are at the highest risk of dog-bite injuries. Most dog bites occur with dogs we know – family pets or dogs that friends own. In 2015, more than 28,000 dog-bite victims had to undergo some form of reconstructive surgery. Dog attacks cost the city of Seattle hundreds of thousands of dollars in health care costs annually. Dog owners can lower these statistics by properly restraining their pets, training them, and not teaching them aggressive behaviors. Obeying citywide leash laws and other ordinances could also reduce the rate of dog bites in Seattle and keep our community safer. Greg is a caring, compassionate lawyer who worked hard and protected my interests. I highly recommend him! -Samantha L.